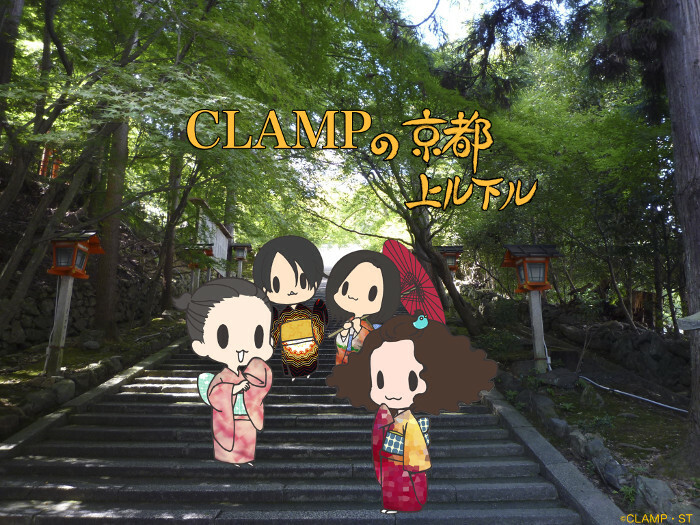 Episode 6 is up for download at CLAMP no Kyoto Agaru Sagaru‘s official website. This episode’s guests were the same as last week’s: Ryu Kawamura (bassist) and Zanio. I think they recorded everything in the same day and split the contents in two parts probably due to its length. It seems the duo was in Kyoto for a concert. Once again, this episode continues with CLAMP interviewing the two guests, this time focusing on the backstory of Iwao Junko’s latest album, which was produced by the duo and which CLAMP drew the jacket illustration (Mokona mentioned that she had drawn Tomoyo countless times but this was the first time she drew Iwao Junko). I hope this week’s episode it’ll be the four of them again. Thank you for making the effort of always reviewing each episode, I don’t comment about it (since there isn’t much to say…), but I always pass by here to read your post.